I very much live by the old "never say never" adage, especially when it comes to fashion trends, but there are certain shoe styles that I can say with confidence I can't imagine myself wearing again. We live in a time in fashion when even "ugly" trends have a regular tendency to become wildly popular. I embrace some of them, but there are other shoe trends that I tend to say "been there, done that" about, for one reason or another (most of which have to do with seeing old photos of myself wearing them). Style is obviously a very personal thing, so I must point out that if the shoes I'm skipping work for you, I fully support wearing them to your heart's content. I, on the other hand, have seven alternative styles that I'm shopping for instead as of late. Keep scrolling to see which shoes I'm officially done with and which I'm buying instead. 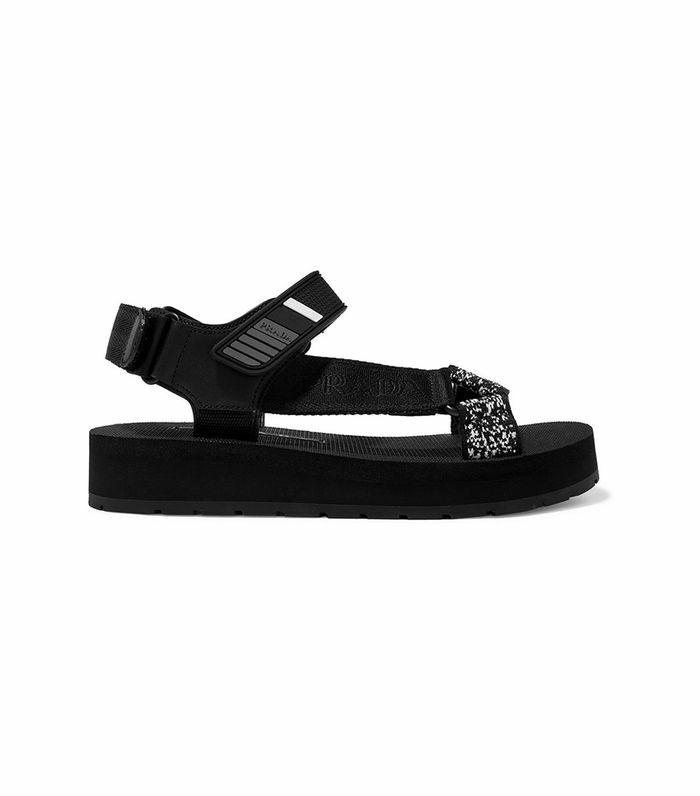 I'm well aware that flip-flops made a comeback toward the end of summer 2018, but I'm opting for less flimsy styles instead, like the tourist sandals that were all over the S/S 19 runways. Brogues are one of those trends that come in and out of style, but I much prefer the look of combat boots (which are basically the boot version of brogues). You won't find any peep toes in my closet, but '90s-inspired square toes have basically invaded it. Given that I once fell down a flight of stairs and broke my ankle while wearing clogs, I'm done with them. Mules, on the other hand, are a style I'll never tire of. Round-toe shoes are a style I left behind a few years ago, and crystal-embellished shoes are one I've recently embraced (because they're pretty). Although typically not affordable, the logo-shoe trend (which shows no sign of slowing down) is a personal favorite of mine. Glove shoes, on the other hand, are a style I've retired after they peaked a couple years ago. High flatform sandals don't really mesh with the rest of my wardrobe, but exotic-skin boots (e.g., faux croc, snake, and lizard) have become my favorites this fall and winter. Next up, the Instagram accounts I look at whenever I want to buy shoes.